Unexplained outages took down a number of popular Internet services Monday night, including Facebook, Instagram, HipChat, and possibly others. Notorious hacker group The Lizard Squad took credit. Users promptly took to Twitter—whose Web site also seemed to be experiencing problems—to complain. 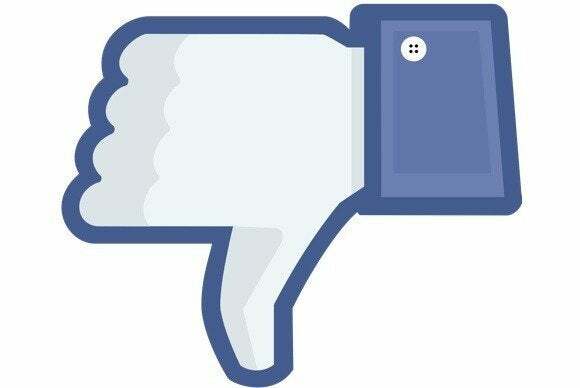 Web sites which track Web outages, such as Outage Analyzer, also noted Facebook’s downtime. Outage Analyzer first noted Facebook’s outage at 10:24 PM on Monday night, and reported numerous other outages affecting the company’s servers. Both the Android app as well as the main Web site were unresponsive. But that wasn’t the only site that went under, however. Facebook’s Instagram was also unreachable, and users complained online that the dating app, Tinder, was also not working. (Tinder’s Web site was functional, although Tinder does not have a Web app.) Atlassian’s HipChat service also failed to connect. Other social apps, such as Pinterest, appeared to function normally. Notorious hacker group The Lizard Squad took credit for the outage, however, claiming it had taken down several services. The group had also taken credit for a hack of the Malaysia Airlines site earlier in the day. A second tweet about 40 minutes earlier read "If only we didn't use twitter to communicate..."
At press time, Facebook had not taken to Twitter or elsewhere to explain the outages. But the dismay with Facebook being down actually propelled #facebookdown to the top of Twitter’s trending topics list, above the #Snowmageddon2015 hashtag that people in the snowy Northeast were using to discuss a blizzard that had rolled in over New England and New York City. The outage also appeared to have affected Microsoft’s Bing, at least on this reporter’s computer, although Microsoft’s search engine and page appeared to have recovered by the time this story was published. What sites or services do you use that are or were out or unavailable? Tell us in the comments below. At about 11:16 PM PT, Facebook service appears to have been restored. Updated at 11:29 PM with additional details.